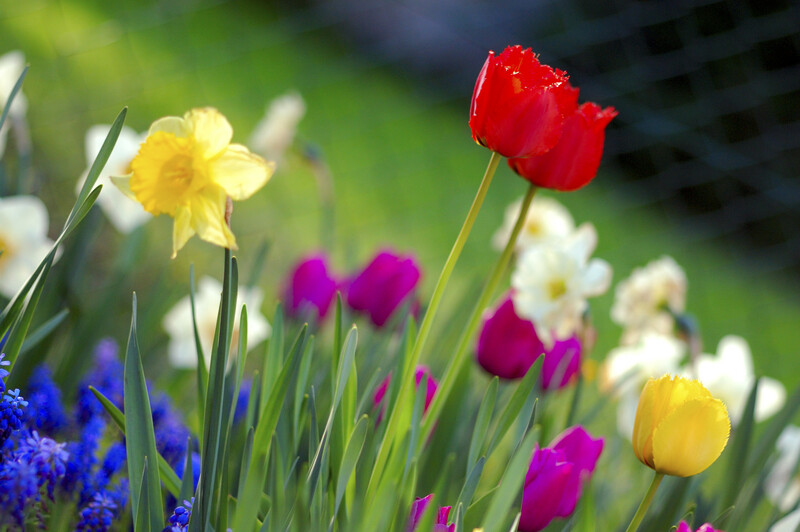 As we begin the month of March, everyone in the U.S. is looking forward to the arrival of spring. For our countrymen in the northeast and eastern seaboard, who have been pummeled by the polar vortex over and over again, spring cannot come soon enough. Spring is an enjoyable season. I have not known anyone who does not like spring. The brightness of the sunshine, the budding of the trees, the blooming of the flowers, and the chirping of birds unanimously strike a note of hope in the air. Whereas in the case of married couples the fault of failed love cannot be blamed totally on one party, in the case of our relationships with the Lord, the fault is always ours, for the Lord stays faithful even when we are faithless (see 2Timothy 2:13). But what would cause someone to lose his or her first love? One possibility is if the person was not grounded enough in the faith to begin with. Such a person would be like the seeds in our Lord’s Parable of the Sower that fell on stony soil or among thorns (See Matthew 13:1-9; 18-23). Any seeming growth is temporary and doomed to fail. A second possibility is if the person forgot what caused the attraction at the beginning. In the case of a married couple, it would mean forgetting those character traits that they had found in each other to be appealing. In the case of a relationship with the Lord, it would mean forgetting what made the person warm up to the Gospel in the first place. A third possibility would be taking things for granted resulting, for instance, in the abandonment of the spiritual disciplines—prayer, Bible Study, Church attendance, fellowshipping, etc. Such a person forgets that spiritual growth is enhanced in community. A fourth possibility would be strolling too far from where is safe, the spiritual counterpart of flirting with danger. A student recently told me that he had watched a video which questioned the authenticity of Christianity, so his faith had been shaken. As it turned out, the video was filled with fallacies not worth repeating, so the video was something the student had no business watching if he took his faith seriously—assuming he truly had faith. Beware of watching videos and programs or reading books that are filled with half truths and outright lies, especially if you do not have the capacity to decipher the material. “And let us not grow weary in doing good, for in due season we shall reap if we do not lose heart” (Galatians 6:9). When you see yourself weakening in faith, re-examine everything you are doing. Cast off those things you have taken on that are dragging you down, and redouble your efforts in those areas where you have slacked off. When the fire is burning low, throw another log on the fire. Recapture the spring of your faith, and rely on the power of the Holy Spirit to maintain it.